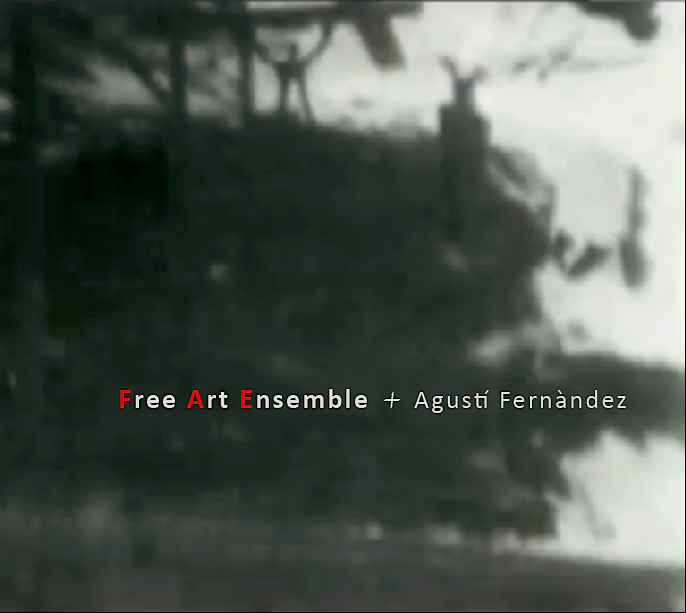 Why Agustí Fernández is such a great artist and musician becomes clear when you just get this overview of his output of last year, and again, this is what reached us, maybe there is more that remained under our radar screen - a journey through areas as remote as particle physics and human emotions, yet it requires art to bring those together, and great skills. 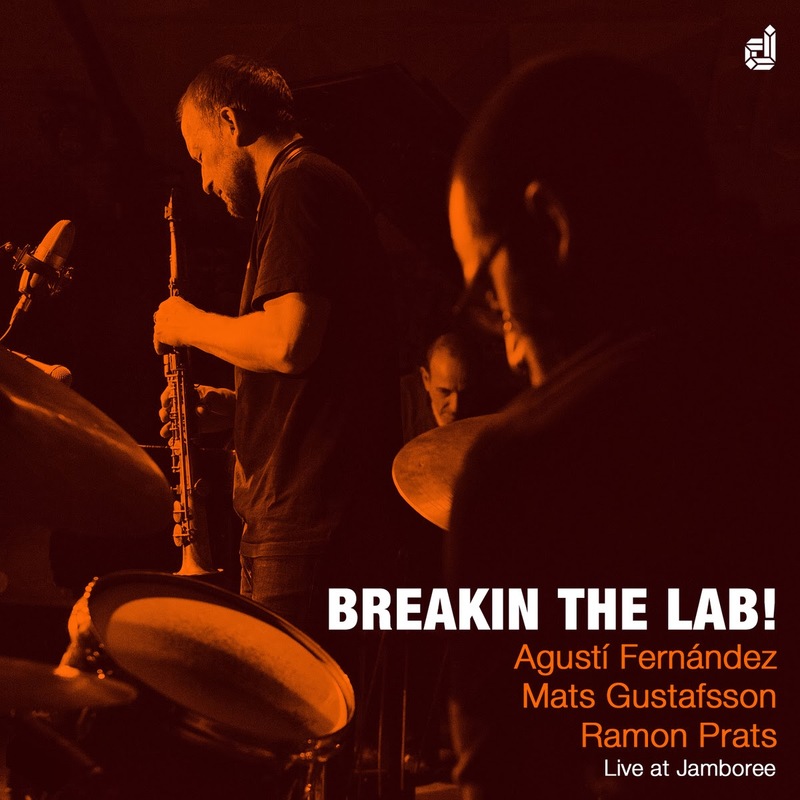 The Liquid Trio further consists of Albert Cirera on tenor and soprano saxophones and Ramon Prats on drums, and they play free improv in its most open form, without any prior conceptions. Cirera and Prats were already reviewed earlier for their duo performance on "Duot". 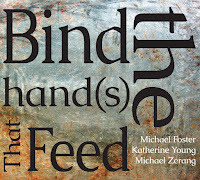 The first track is granular and feels like rocks and stones being tossed around, and it's only on the second track that the sounds really starts gelling, and strongly so, with a better emotional component and wizardy interactions between all three musicians: distress, hesitation, uncertainty and some exaltation appear out of strange and angular chords and structural elements that are not clear yet change all the time, and then get even stronger in the more violent third "Quasi A Final", when piano and sax reach the same note and sustain it till silence drops like the night on the horizon. 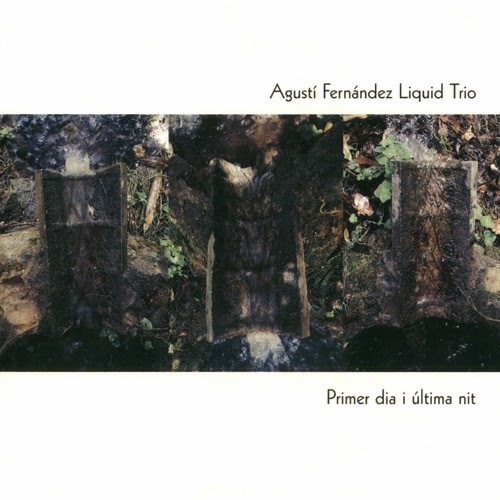 This is abstract music, requiring attention to listen to, and possibly some time to get into, but as usual with Fernández, this effort on the listener's side is rewarded. This double CD is vailable at Instantjazz. 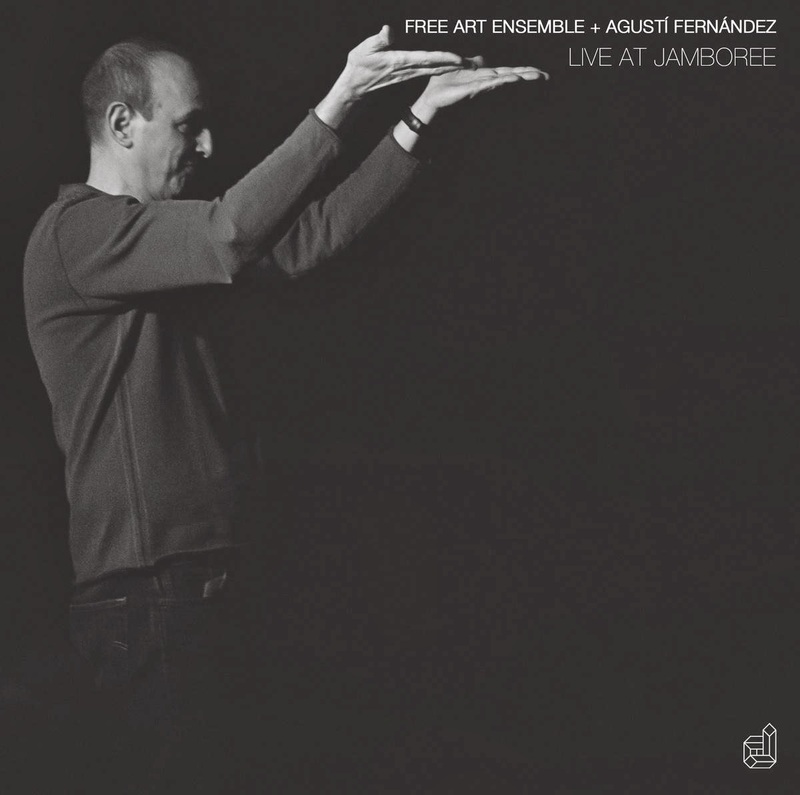 The second album is exactly the same band, but recorded in September 2013, live at Jamboree, a jazz club in Barcelona, Spain. The download album is much shorter, and gives totally different performances of some of the same material, which makes it fun to compare. The performance is equally entertaining, with the active support of the audience as an additional asset. 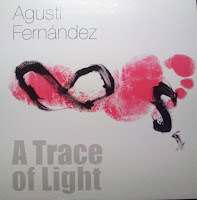 For both records fans of Fernández' piano playing should be warned: he is acting more as the conductor to the ensemble than as a pianist, but that does not spoil the fun because the band is really good, and when he sits behind his keyboard, he can be as romantic as well as merging with the big band as shifting into avant-garde. 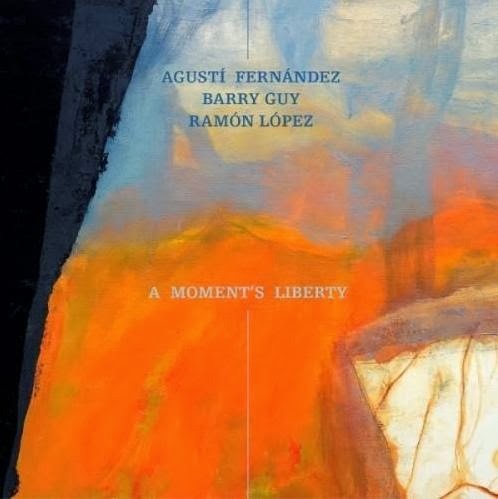 On "A Moment's Liberty" Fernández is joined by Barry Guy on bass and Ramón López on drums, for typical piano line-up, yet what you get is anything but typical. The trio mixes beautiful themes, ballads even, and is in that sense possibly among the most accessible parts of this review list, with more raucous and intense passages, or with moments of extended playing that would terrify the fans of Bill Evans. This is the same trio that also released the magnificent "Morning Glory" three years ago, and it must be said, this album has the same approach and reaches the same heights, with lots of moments of sheer musical joy, with the accuracy and the refinement of all three musicians adding as much to the fun as the raucous intensity expressed elsewhere, with both approaches opening new possibilities and sounds. As Fernández himself describes it in the liner notes "I believe that the essential thing for us is our shared desire to create an extraordinary, unexpected and unusual moment through music. A moment that cannot, perhaps, be described in words, but which can be perceived perfectly, as one of those fantastic occasions when music bypasses the intellect and is channelled solely through feelings, emotions ...", what more can I say? 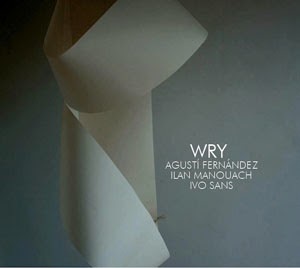 "Wry" is magnificent in its own right, an album fully in the European free improv "tradition", with in-the-moment co-creation of intimate and harsh, gentle and unsuspected developments, intense interaction and an endless yearning for authentic purity. Ilan Manouch plays soprano sax and Ivo Sans drums. Some tracks, such as the second, "43-49", sound like joint digging into sound, full of hard effort and labor, to come up with just a few nuggets of sound, but worth it, while "36-42" has a kind of high fluttering of rapid speed little sounds, intense, like colibris moving their wings yet going nowhere at all, and "92-98" is built around silence, with the anticipation of evil creeping into the watchers of a horror movie when unknown sounds with a deep moaning quality sneak forward, unseen. 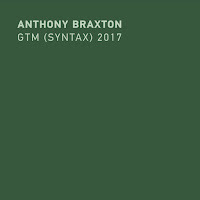 It is restraint, contained, coherent yet hard and almost merciless, with a tension that never leaves the entire performance of short snaps and percussive hits and notes that hurt and sooth. Fascinating listening. Listen or download from Bandcamp. This album starts in a very a-typical way, with barely any sound at all, requiring you, the listener, to turn up the volume because you think there's something wrong. 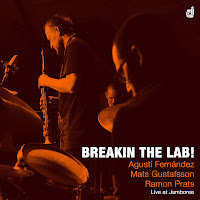 Then Gustafsson starts with quiet tong-slapping on his baritone sax, with Fernández and Prats making screeching noises on the inside of the piano and the outside of the drums, encouraging the mighty Swede to express himself better, which he does, with increasingly stronger screams in the same tonal register, louder and wilder and even savage and howling like only he can do it, like an animal in a fury, in a rage, and piano and drums just rumble on, creating huge momentum, supporting him, yet gradually the violence subsides and piano and drums get their own voice, in a jumpy kind of way, without clear rhythm yet full of darting intensity, like a foal getting out of the stable for the first time, with tense muscles releasing out of fright and joy at the same time. The album is short, but it is great, and the five tracks show totally different dynamics than with some of the other bands, maybe also because Gustafsson drags the other two musicians to generate more power, but strangely enough also because Gustafsson is enveloped in the piano's warmth at times, with my favorite track being "Uncommon Pataphysical Phenomenon", which develops in various movements, starting with minimalist scratching of strings to almost hesitant soprano oscillations and when the piano coaches the trio through some angular and percussive action, the trio finds an incredibly strong common voice near the end, exuberant and expansive, full of sensitivity and power. 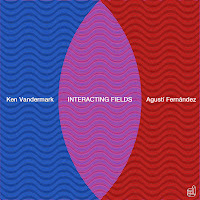 This duet between Vandermark on sax and clarinet and Fernández was recorded last year in May, also at the Jamboree club in Barcelona. 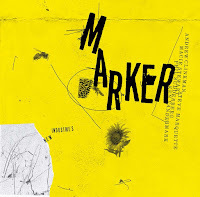 The titles of the tracks - "Probes", "Clashing Particles", "Points versus Spheres", "Absolute Space", "Hyperconductive", "Beyond Substance" - already demonstrate that the two virtuosi are using their instruments as experiments in physics and quantum mechanics, creating sounds openly and unexpectedly to generate new possibilities of interaction, and the amazing is is that they do, with the kind of wild coherence that is hard to imagine. 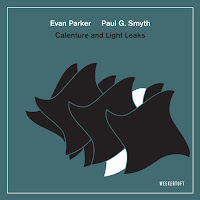 In "Clashing Particles", they do exactly that, yet it sounds as if it is composed, with both instruments almost acting as one, with quick angular runs and phrases, with inimitable intensity, and the kind of sound that can only arise out of improvisation, but then at it's best .... impossible to write, impossible to repeat, yet grandiose. "Points versus Spheres" starts calmly, almost silently, but then listen how out of this emptiness, a tune arises, one phrase tossed in the air by Vandermark, picked up by Fernández, then dissolves, and is picked up again, by both men, played around with, forming the implicit backbone for the rest of the improvisation, which generates more volume and speed. 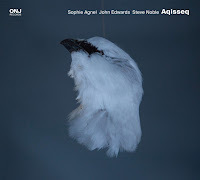 "Absolute Space" is the most avant-garde, with sweeping extended techniques setting the tone, culminating in some high and piercing wailing by the sax. The closing track, "Beyond Substance" is the calm and harmonic closer of the album, beautiful and fragile, having reached a point where the rash physical realities of nature have made place for something even more essential, something even deeper and more valuable. It really takes two virtuosos to achieve this. Listen and download at Bandcamp. Thanks for this recap, I've been curious about a couple of these. Wow, this is going to keep me busy. in everything I've heard. 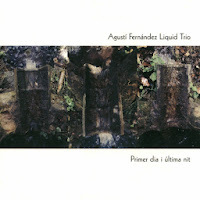 Two other albums which are well worth a listen are"Some Other Place", a duet with Fernandez and Guy, and "Topos", which is Fernandez-Guy-Parker-Lytton. They are both on Maya. Thanks for the reviews, Stef.